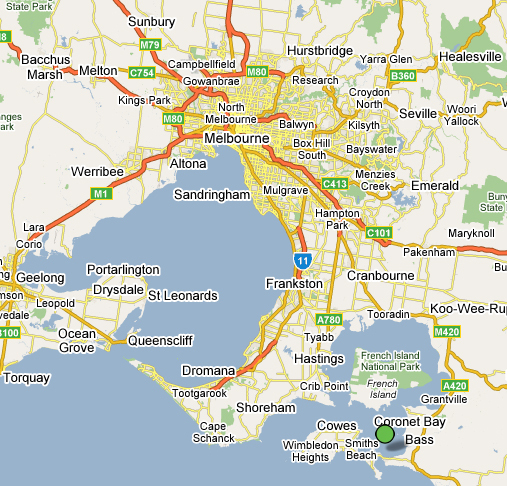 San Remo is located 125 kilometres south-east of Melbourne – under 2 hours drive from Melbourne. Travel along the South Gippsland Highway from Melbourne, turning onto Bass Highway to follow the road through Grantville and Bass before turning off to San Remo. 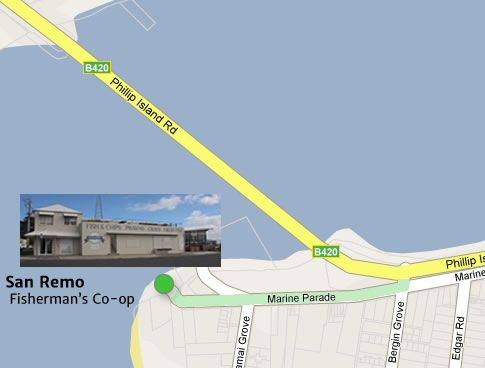 Once you reach San Remo (just before the bridge to Phillip Island) turn onto Marine Parade. Follow Marine Parade to this end and you will see our famous Fish n Chip shop looking over the San Remo Peir.